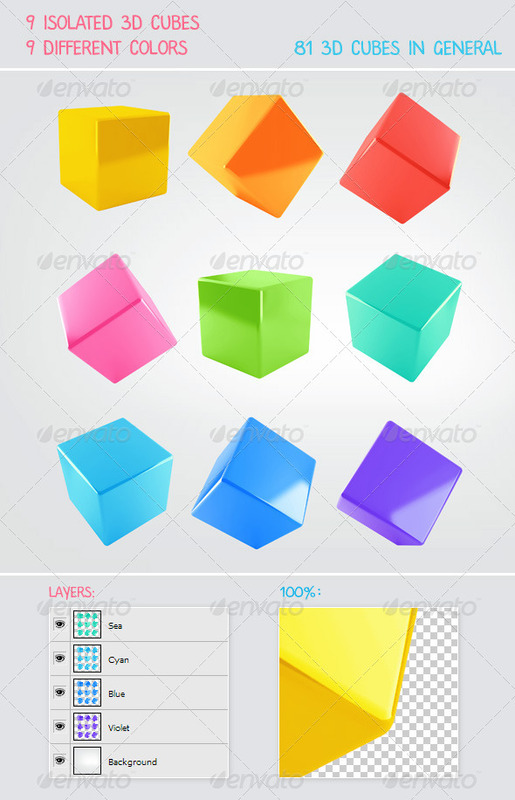 PSD-file with colored cubes. Layers merged by colors. 81 transparent png files. The size of every cube is about 600-800px.